Vastu Shastra Tips for Windows : The Bigger sizes of windows in North, East or Northeast direction allow good “pranashakti” (Health air) / good Vastu power to enter into home/house. As per Indian Vaastu science, North brings prosperity while East brings progress and health. Some East facing house vastu may does not have facility to keep door towards Northeast North or Northeast east in that case keeping the window may get abundance of health and wealth. Arrange the as much as possible bigger windows towards Northeast quadrant of the house. Setting up or establishing windows at Southwest (Southwest) portion of the home may effect lot of outcomes / consequences to the residents; don’t fix/install windows exactly at Nairuthi (Southwest) corner.Bigger Windows at Northeast corner brings development, strength, happiness, prosperity, luck, works made easy including more light and air. Fresh air is the most significant factor regarding health of the residents of a house. More big window or windows at east courier the name and fame, works made easy, good health. The foremost big windows at North transfers prosperity, good health, money flow, happiness. Strongly recommended bigger windows towards East, North and Northeast directions. If requires medium size windows are recommended towards Southeast corners and northwest corners. Small windows may be placed towards West and South directions. The very most small windows are perfectly suitable towards at Southwest room. Don’t fit windows at Southwest corner of the Southwest room, avoid fixing at these corner areas. No need to count windows, if any one says that the number of windows is prominent, don't worry, this could be honored only if the property was built without cement and steel. No importance has to be given for the counting of the windows when the Property was built with cement and steel. If the property is built with mud then it may be check the number of window in that property. Do not consider your personal choices, it's usually recommended which obtain a great Vasthu recommendations through a skilled Vaasthu adviser to savor the wealthy as well as pleased existence. 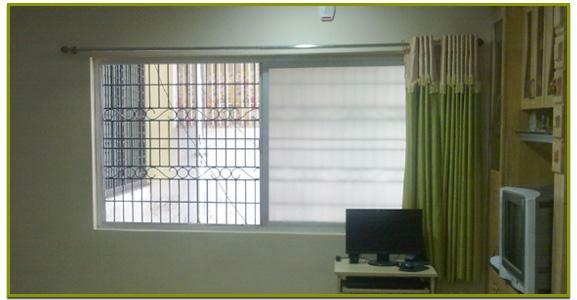 This type of bigger windows are suggested towards North, East and Northeast directions. Due to heavy bigger windows towards North, East, Northeast then the weight also lesser with this windows, wall means weight. If window came means that weight will loosing at this area. Some body are interested to place/arranging very tall windows, these could be good other than that of South, West and Southwest directions. Keeping the marble stone, black stone, granite stones are suitable at window areas. It means when keeping the window better to fix the marble or granite and on this stone keep the window. It is also standard work. When there is a standard was found there should be negative force Vastu Effects will be gradually reduces. In the event if the house is having continuous doors from Northeast-east to inside rooms as a moment passing through of linear equal doors and there is no door towards Northwest-west then its strictly recommended to have one window atleast at this part, so the air will move free, bad odors cannot stay at home. Air has freely come inside and the bad smells in the House has to be go out frequently, this is the air cycle in a property. Though the window is good towards Northwest-west but our strong suggestion is keep one window at this Northwest-west direction, if its not possible in case then window is strongly preferable. The same way if there is a continuity of doors from Northeast North towards Southeast-south, the best recommendation is keeping one door towards Southeast-south is good, if there is no possible to keep door at this point then keeping window is highly recommended. If West facing property the Northwest-west door generally recommended as a moment passing through linear doors connected upto Northeast-east, its best to have one Northeast-east door. Its highly recommended to have the door here, if its not possible then compulsory keep window at this Northeast-east Directions area. The Southeast-south door is good in general, while passing through inside as a linear doors towards Northeast-north, then its highly recommended to have one door towards Northeast-north direction, if its not possible then keeping window is highly recommended. its compulsory to have atleast one Windows at this direction, don't forget. For each and every house air has to freely enter and exit, we should take care of such frequency moment. If there is stagnant water then the virus and bacteria development chances are more, same like the way the stagnant air may not provide good oxygen to the residents. Pass through air is good for happy and healthy living and it contains natural pleasure and oxygen. This is Windows Vastu Tips link and wish to read more information then click this WINDOWS VASTU link. We pointed out numerous Home windows titles in this said link. This might helpful for your own personal objective. We can observe french windows in places for example in California and Texas and even in Bombay and also or in your city too. Where to keep doors at my home rear area (Back Doors)? Where can I get information on Northwest-west Street Focus? We seen a South facing shop, is it giving any negative energies? My sister plans to buy one home in USA, is vastu shastra woks in USA? Is street focuses are giving any positive or negative effects on residents? How to overcome from the property disputes through vastu shastra help? Which is the best placement for furniture inmy living room and in my home? Liked a home to buy, wish to contact the best vastu expert in Secunderabad? I Am living in Dubai, can I place God Idols in the room and offer prayers daily? We seen one house to buy, how to contact an expert vastu specialist in Australia? Why our neighbors always quarreling and planning to take divorce, what are reasons? We planed to do Trading Business, is vastu shastra helps to get profits in commodities? is it compulsory to place ventilator above the window?can we place window at one side of wall and ventilator at other side of wall?